Our Hut Hut Sweater features a super easy, but also super crowd-pleasy technique called the Duplicate Stitch. The Dupe Stitch allows you to customize the garment with whatever letter you can dream—or rather, chart—up. (Big ups for One Of A Kind, eh?) Full instructions and no more puns below. Start by figuring out your chart dimensions. You can do this by measuring the space you’d like your image to take up on the sweater. Multiply the length measurement by the rows per inch and the width measurement by the stitches per inch to get the dimensions of your chart. 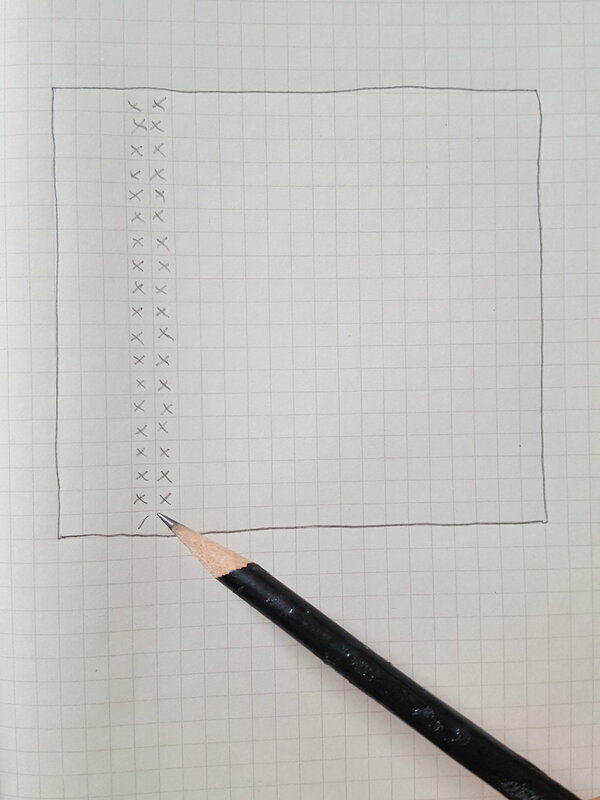 On graph paper, outline your chart using the dimensions you calculated. 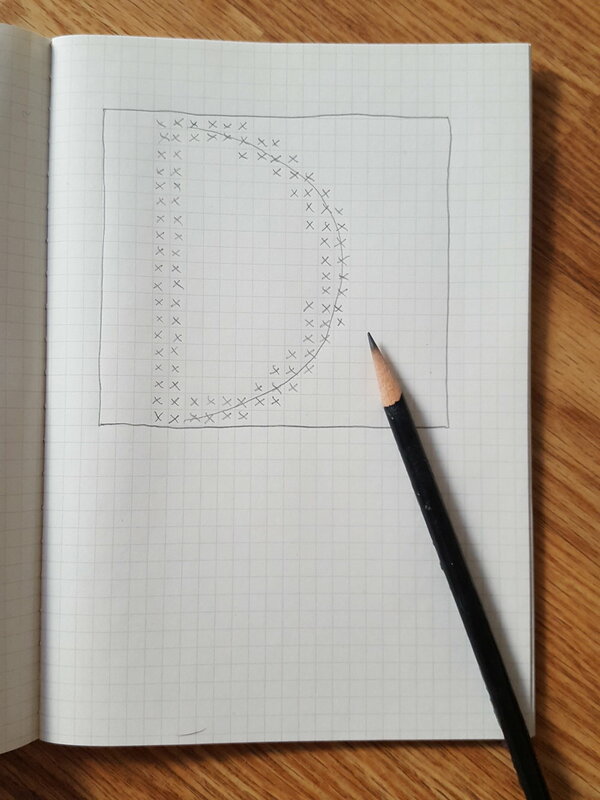 Beginning with the straight edges of your design (we’re doing the letter D), start to shade your design within the chart. When working with curves, draw a guiding line and gently graduate the shading for the smoothest curve. Remember, knitting isn’t a perfect square and there will usually be more rows per inch than stitches, so keep this in mind when working your design. It’s best to make the image a little taller than it is wide, since it will compress when applied. Work with yarn that is no longer than an arm’s length. This will reduce tangles and make it easier to stitch. Insert needle from the back into the bottom of the “V” of your first stitch. Make sure you’re underneath the bar of the “V” to provide an anchor for the duplicate stitch. Pull your yarn through. Insert your needle under the legs of the stitch above the stitch your working. Pull your yarn through, making sure not to pull too tight. From the front, insert the needle through the bottom of the “V” in the same place as step one. Pull through. Your duplicate stitch is done! Repeat this process for all stitches. You can work this stitch from all directions, just be sure to keep tension even and give the stitches room to breathe.